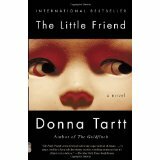 Donna Tartt, winner of the 2014 Pulitzer Prize for Fiction, begins The Little Friend in the fictional town of Alexandria, Mississippi, where the dead body of a nine-year-old boy, Robin Cleve Dufresnes, has been found hanging from a black-gum tupelo tree. At the time of Robin’s death, his sisters—Allison and Harriet—are four years old and six months old, respectively. Twelve-year old Harriet, the central character of the tale, frequents the local library and loves Dickens, Kipling, Sir Walter Scott, Robert Louis Stevenson, and Arthur Conan Doyle. Her heroes are the super-sleuth Sherlock Holmes and the escape artist Harry Houdini. She will need all her wits, intelligence, and derring-do to survive the dangers that threaten her. The lion’s share of the book is devoted to interpersonal relationships within the Cleve and Dufresnes families, which have been devastated by Robin’s death. Central characters include Harriet’s father, who has deserted the family and is living with a mistress in Nashville; Harriet’s mother, who has become a shadowy recluse; and Harriet’s grandmother, great-aunts, and aunts. Four ne’er-do-wells—members of the “sorry,” low-life, white-trash Ratliff family—are the antagonists of the drama, especially one Danny Ratliff, Robin’s “little friend,” whom Harriet comes to suspect as Robin’s murderer. A stash of crank (methamphetamine) hidden in the town’s abandoned water tower leads to a white-knuckle, nail-biting confrontation between Harriet and Danny Ratliff. The Little Friend is a WHO-dunit and a WHY-dunit, with neither a “who” nor a “why.” The story’s promising complications have no satisfying resolution. Was the final chapter inadvertently misplaced by the author or carelessly deleted by an editor? For this reason, I give this absorbing novel four stars rather than five. A final comment: One wonders how much Alexandria, Mississippi, resembles Donna Tartt’s girlhood home of Grenada, and to what extent spunky, resourceful, independent, tomboyish Harriet is a mirror image of Donna Tartt. Donna Tartt was born on December 23, 1963 in Greenwood and grew up in nearby Grenada (both in north-central Mississippi). She has published three novels: The Secret History (1992), The Little Friend (2002), and The Goldfinch (2013), the latter work winning the 2014 Pulitzer Prize for Fiction. All of Me features stellar production work from Nashville pro John Billings, who also engineered and played bass on all tracks. Mr. Billings played with Donna Summer and the Monkees, among many others. Another stand-out contribution is offered by saxophonist Dana Robbins, who has played with Aretha Franklin, Delbert McClinton, Chaka Khan, and others. 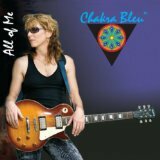 It all adds up to a welcome surprise for Chakra Bleu fans . . . with equal emphasis on “welcome” and “surprise.” If the “old” Chakra Bleu sounded like Fleetwood Mac or Heart, this entrée is like an Anita Baker album splashed with Bleu’s patented lyrical vibe of love, hope, and good will. It’s a new direction for the beloved artist, and one she walks with inviting confidence. Nashville-based Ryan Weaver—the “all-American rockin’ country music artist”—will play two shows in MusicCity this week. He will be headlining a non-CMA Fest-affiliated concert at Margaritaville on Wed, June 4th at 10:30PM after the CMT Award Show, then performing on the Samsung Galaxy Stage in Hall of Fame Walk Park for CMA Fest on Saturday, June 7th at 12:05PM. Ryan’s just-released single “New Set of Tires”—the follow-up to his first Top 100 Music Row charting single “Crank It”—was penned by Hall of Fame songwriters Jeffrey Steele and Bob DiPiero. The single is available for sale on iTunes and Amazon. Ryan Weaver served as an active-duty Blackhawk helicopter pilot, Chief Warrant Officer 3, in the U. S. Army. The small-town Florida native jumped into the music scene after a chance meeting with hit songwriter Jeffrey Steele in Fort Rucker, Alabama. Steele soon became Ryan’s musical mentor. You are currently browsing the Underground Nashville blog archives for June, 2014.